Oracle agreed to acquire Talari Networks, a leading provider of SD-WAN technology. Financial terms were not disclosed. The transaction is expected to close in 2018. 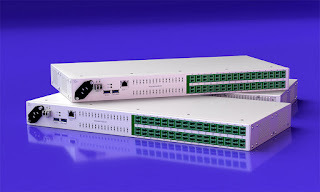 Oracle said Talari's SD-WAN technology complements its own Session Border Controller (SBC) and network management infrastructure by adding high availability and Quality-of-Experience (QoE) connectivity and cloud application access across any IP network with the reliability and predictability of private networks. Talari was founded in 2007 and launched its initial beta product in early 2008. The company is based in San Jose, California and has an R&D center in Raleigh, North Carolina. It SD-WAN serves over 500 enterprise customers in 40 different countries across a variety of industries including public sector, financial services, insurance, retail and manufacturing. Talari’s proprietary Failsafe technology delivers both MPLS-class high availability and high QoE (Quality of Experience) predictable application performance for both TCP-based apps and real-time apps like VoIP and videoconferencing, whether built on a hybrid MPLS plus Internet WAN fabric, or a WAN comprised of only Internet connections. Talari is headed by Patrick Sweeney, who previously served in multiple executive roles over his 16 years at SonicWall and Dell. The company, which is already a leading solutions provider to mobile carriers, currently has pilot 5G deployments with tier-1 carriers worldwide, including with a major Japanese mobile carrier and an Asian Tier 1 mobile operator. With 5G, there are critical requirements for improved security, reliability and performance, through consolidated solutions, which result in lower latency, high reliability and lower TCO. A10 also said it will continue to provide industry-leading scale in both VNFs and PNFs, including scale-out agile deployments with containerized solutions for virtual mobile edge compute requirements. This includes physical, virtual, and containerized offerings. The OIF announced its newest project — “Requirements for Integrated Packet Optical SDN.” The goal is to outline requirements for a multi-layer SDN reference architecture as a use case for packet optical transport networks. The project will generate functional requirements, a reference architecture and use cases for packet/optical networks guided by the vision to enable agile, open network solutions that simplify operations and optimize resource utilization. Nokia announced a significant update to its CloudBand Infrastructure Software, which gives CSPs the capability to unify their Network Function Virtualization Infrastructure/Virtualized Infrastructure Manager, or NFVI/VIM, in order to support centralized and distributed edge cloud deployments and workloads. The new release streamlines operational procedures by providing a single NFVi/VIM for all cloud deployment needs, such as support and management for both VM and containerized workloads. Nokia CloudBand Infrastructure Software includes OpenStack software directly from the open source community to address several challenges facing OpenStack adopters; for example, providing timely maintenance and feature updates and localized infrastructure security compliance. It also includes full Software Defined Networking domain controller pre-integration to give customers an end-to-end solution with lower integration costs and improved time-to-market. Guy Shemesh, Head of CloudBand at Nokia, said: "Nokia's latest CloudBand Infrastructure Software improves on OpenStack's operational state and removes risk and complexity for CSPs. CloudBand Infrastructure Software supports a combination of IT and Telco network cloud deployments, including stringent radio requirements, as well as Enterprise cloud needs. It is the best-in-class solution for converged cloud management solutions. This next-level solution is being swiftly rolled out for Nokia customers." 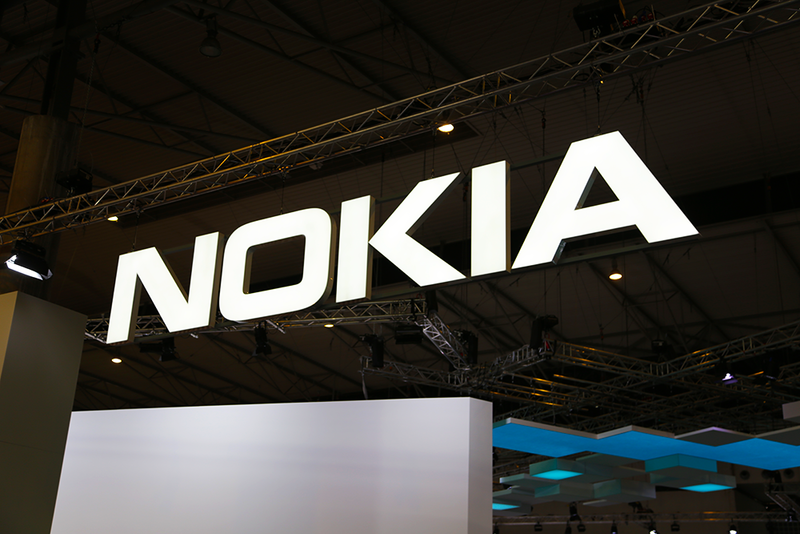 Nokia cited a number of major deployments in for its CloudBand management and orchestration (MANO), including CloudBand Infrastructure Software, such as StarHub; BSNL to support the roll out of 4G and Voice over LTE services in India; and T-Mobile to support their nationwide, multi-band 5G network rollout across the United States. Pilot, which provides fiber-based business connectivity services in New York City, Washington, D.C., and Philadelphia, is utilizing the ADVA ALM to instantly isolate faults in the fiber plant and take immediate targeted action. ADVA said it is able to offer real-time insight into the integrity and performance of Pilot's fiber infrastructure, significantly improving the robustness and efficiency of its network. The solution is already deployed throughout New York and is being rolled out in Pilot's Washington DC and Philadelphia networks. The ADVA ALM will also be used to assure Pilot's next-generation GPON architecture, ensuring the fiber infrastructure meets the demands of the network. ADVA's partner M2 Optics, a provider of custom optical infrastructure and test solutions, also played a key role in the project, implementing the solution and providing network design expertise. Pilot is one of the first service providers to utilize the high-density 64-port variant of the ADVA ALM. 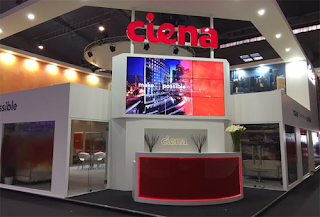 Ciena has enhanced its channel partner program by embracing customization, personalization, and strategic business planning for its partners. The company says its new Ciena Partner Network (CPN) will better align with the rapidly changing IT landscape. The goal is to provide greater flexibility and customization to all partners inclusive of managed service providers, resellers, integrators, distributors, or service partners. “Our new partner program complements our Adaptive Network approach to help Ciena clients and partners adapt to changing market conditions. By moving away from the traditional program structure to a more collaborative, personalized and empowering approach, our CPN program delivers unprecedented flexibility and customization that harnesses the unique value of each partner,” Sandra Glaser Cheek, Vice President, Global Partners and Alliances at Ciena. Habana Labs, a start-up based in Tel-Aviv, Israel, raised $75 million in an oversubscribed series B funding for its development of AI processors. 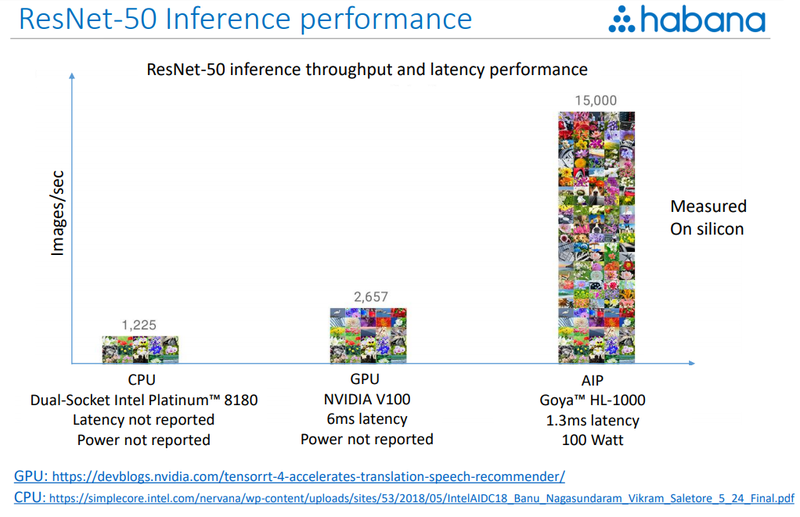 Habana Labs is currently in production with its first product, a deep learning inference processor, named Goya, that is >2 orders of magnitude better in throughput & power than commonly deployed CPUs, according to the company. 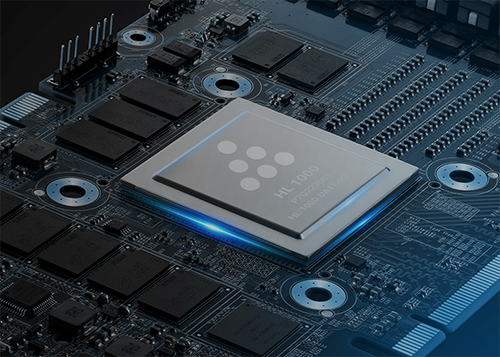 Habana is now offering a PCIe 4.0 card that incorporates a single Goya HL-1000 processor and designed to accelerate various AI inferencing workloads, such as image recognition, neural machine translation, sentiment analysis, recommender systems, etc. A PCIe card based on its Goya HL-1000 processor delivers 15,000 images/second throughput on the ResNet-50 inference benchmark, with 1.3 milliseconds latency, while consuming only 100 watts of power. The Goya solution consists of a complete hardware and software stack, including a high-performance graph compiler, hundreds of kernel libraries, and tools. Habana Labs expects to launch an training processor - codenamed Gaudi - in the second quarter of 2019. The funding round was led by Intel Capital and joined by WRV Capital, Bessemer Venture Partners, Battery Ventures and others, including existing investors. This brings total funding to $120 million. The company was founded in 2016. Kaloom, a start-up based in Montreal with offices in Santa Clara, California, announced $10 million in Series A1 funding for its Software Defined Fabric (SDF) for automating and optimizing data center networks based on open networking white box switches. The latest financing was led by the Fonds de solidarité FTQ, and Somel Investments, with the participation from MBUZZ Investments. This cash infusion brings Kaloom’s total investments to $20.7 million. “In a very short period, Kaloom has developed world class software for data centers. We are excited to see such strong interest in the company and its solution and see a bright future with Kaloom. After our initial investment for Kaloom’s launch in 2017, we are pleased to continue to support the company’s growth,” said Gaétan Morin, President and CEO of the Fonds de solidarité FTQ. Kaloom also announced tha appointment of Mike Rymkiewicz as its new vice president of sales, and Thomas Eklund as Kaloom’s vice president of marketing. Kaloom's SDF, which is designed to virtualize the data center, leverages P4-based programming capabilities initially in switching silicon from Barefoot Networks. A physical data center can be partitioned into multiple independent and fully isolated virtual data centers (vDCs). Each vDC operates with its own Virtual Fabric (vFabric), which can host millions of IPv4 or IPv6 based tenant networks. Its software-defined fabric offer interfaces to standard orchestration systems and SDN controllers such as Openstack (ML2), Kubernetes Container Networking Interface (CNI) and OpenDaylight (NETCONF). Initially, supported white boxes include Accton, Delta and Foxconn, which have been designed for hyperscale and distributed data centers. 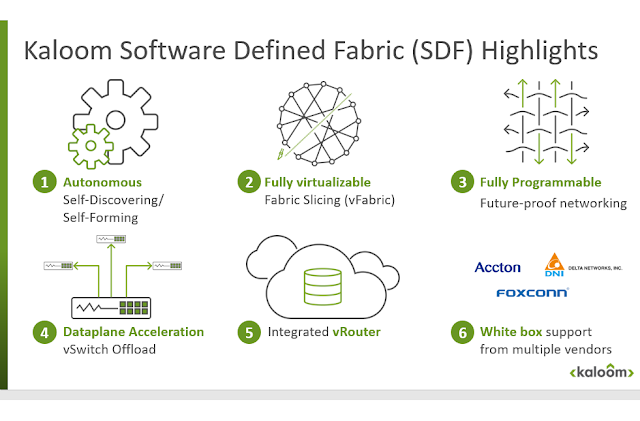 The SDF features self-forming and self-discovery capabilities, as well as zero-touch provisioning of the virtual network and virtual components with automated software upgrades. Intel's board of directors approved a $15.0 billion increase in its authorized stock repurchase program. The company had $4.7 billion remaining under its existing repurchase authorization as of Sept. 29, 2018. The company notes that it has returned approximately $177 billion to stockholders through dividends and stock repurchases from 1990 through the third-quarter of 2018.